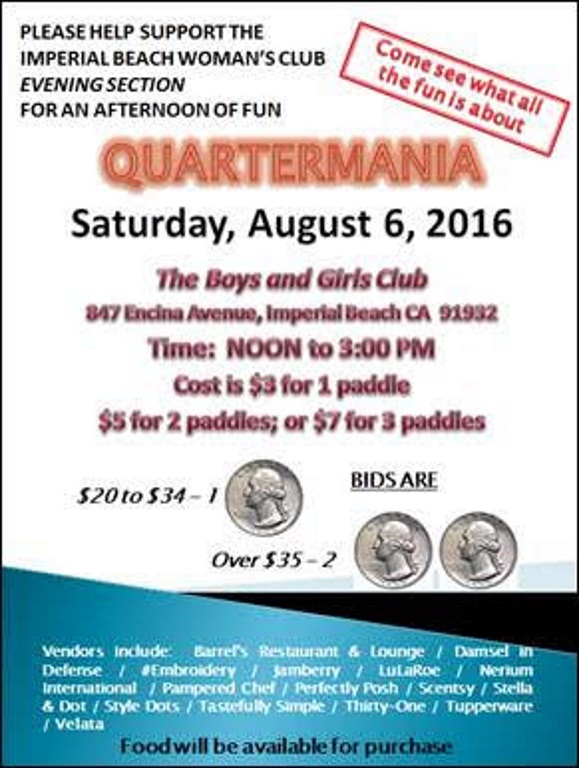 Quartermania is coming to the Boys and Girls Club on Saturday, August 6th from Noon to 3:00 p.m. It is a fundraiser for the IB Woman’s Club Evening Section. Please contact Connie Criswell or Karen Odermatt to purchase a ticket. Tickets can also be purchased at the door.